A beautiful beach with a small island to 200 meters from the coast. 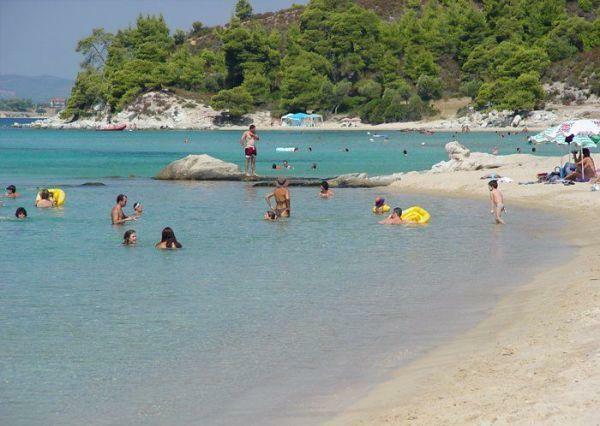 It is a beach with pine trees reaching the sea front, with golden sand and beautiful colors in the water. You will find it in the 6th kilometer Nikiti - Neos Marmaras, signposted on the road, which invites you to turn right on the gravel road. It is an organized beach and sun loungers and parasols.